#FarscapeNow: Remastered and ready to binge. 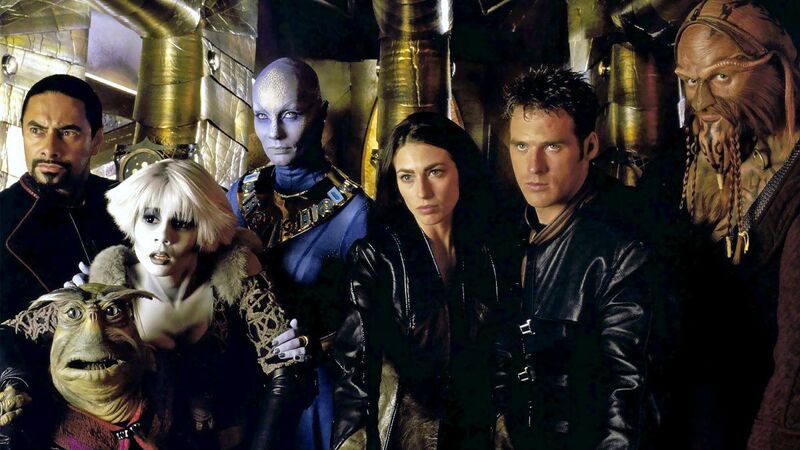 "Farscape" was unlike anything that had come before it; the show was bold, brilliant and a little bonkers. The series turns 20 years old this week. To coincide with its original U.S. premiere on March 19, 1999 (the U.K. premiere was a few months later), all four seasons of "Farscape" and the "The Peacekeeper Wars" miniseries have been made available on Amazon Prime. "Farscape" followed an American astronaut named John Crichton (Ben Browder) who, on the maiden flight of a spacecraft that was testing a new theory of gravity-assisted acceleration, was struck by a wave of radiation and accidentally hurled through a wormhole to land halfway across the universe. Adrift and floating through space millions of light-years away from Earth, he's picked up by a crew of fugitives aboard a living, biomechanical spaceship called Moya.